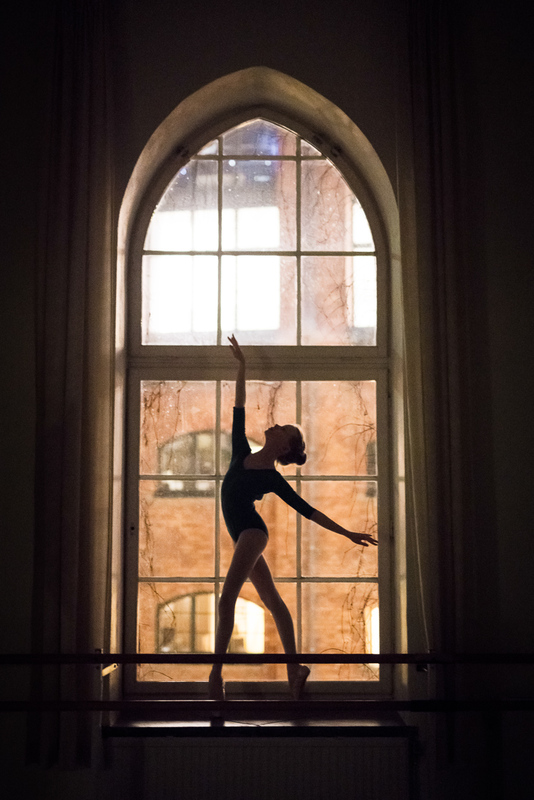 This past Thursday evening I went to the Swedish Royal School of Ballet to photograph with Samira Bethke, Selma Strandberg and Felicia Andersson. We were also joined for a while by Samira’s sister Naomi. Normally I pack quite light for my photoshoots, but this time I decided to bring not only flashes, but also gels, an additional tripod as well as some fairy lights. The photoshoot was naturally split into two halves, as we only had the big room booked for the last couple of hours. The first part was more your typical studio shoot, and the second half was a bit more experimental where we played around with light painting. Felicia Andersson in an arabesque. The main light to the left uses a shoot-through umbrella, and the light from the right is gelled red. Samira Bethke. Here we were going for a more dramatic light set-up with the key light coming from the back. Selma Strandberg. Here a well timed hair flick gave the hair more volume which looked great together with the red light. Naomi playing with the shadows on the wall. The big room had some great windows, but unfortunately the sun had already set. 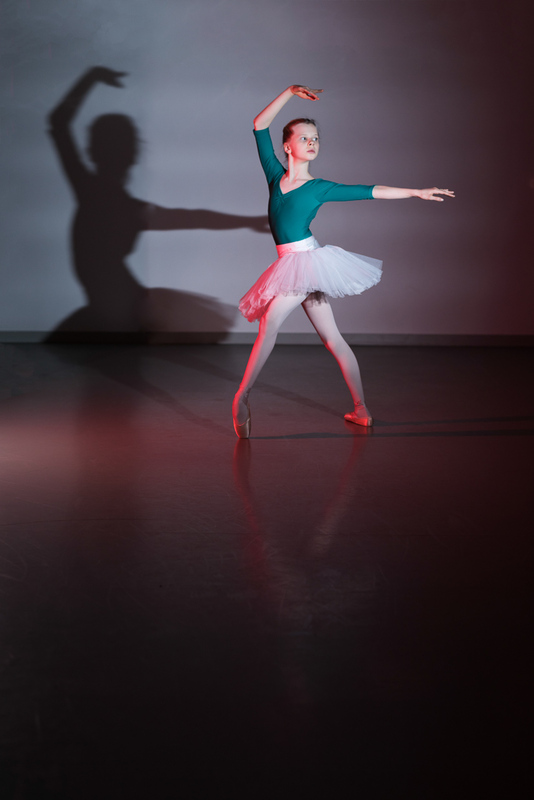 So the photo below was shot using existing light at ISO 8000 to get the silhouette of Naomi. We then shifted gear, and started doing a bit more experimental photos using the fairy lights. In the first set of photos of Samira we had Felicia throw the lights across the frame with a shutter of 1 second. It took quite a few tries before we had figured out what worked. We used two flashes to illuminate Samira. I recently bought three second-hand PocketWizard FlexTT5 and it was great to have radio triggers for the flashes instead of having to rely on optical triggering. No more worrying about line of sight. Samira Bethke. 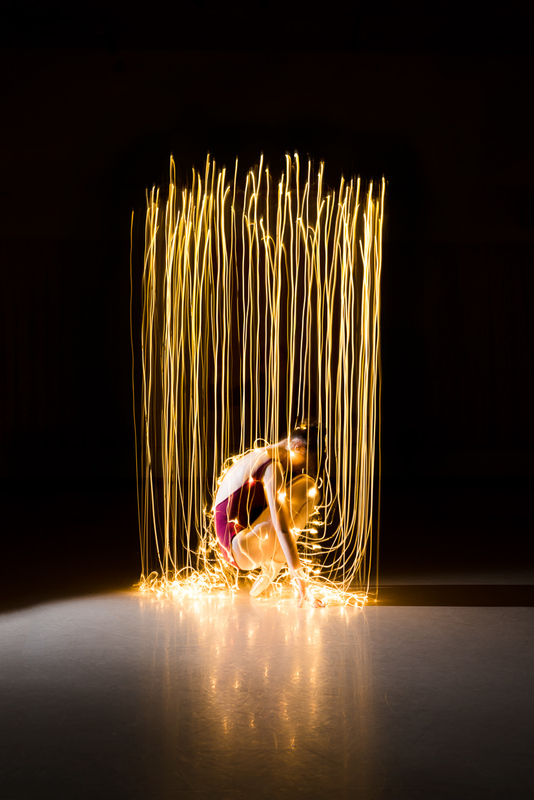 Light painting using fairy lights. 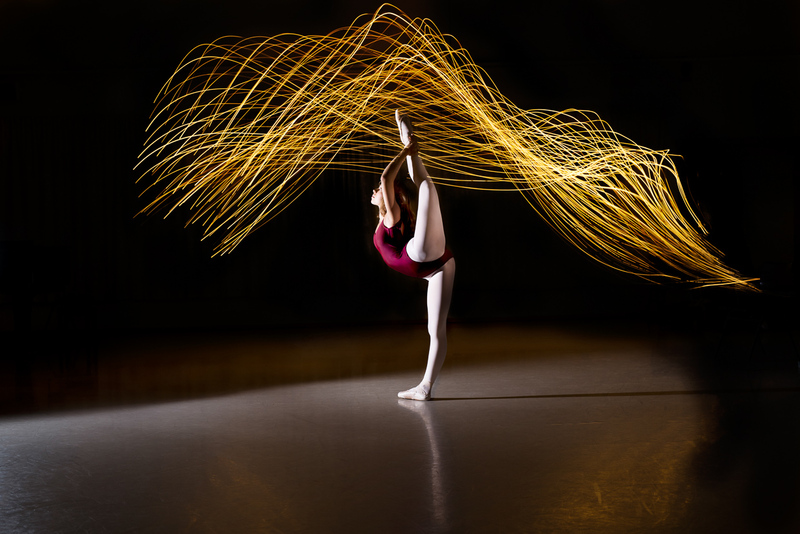 Samira Bethke, with light painting in the background. For Felicia we wanted to see if we could make some light wings. This proved to be really tricky, and Selma did a great job moving the lights. 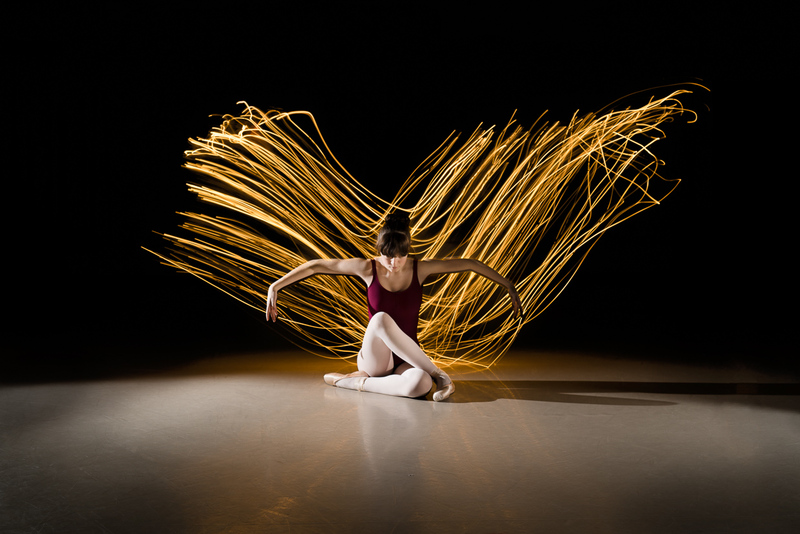 Felicia Andersson, light painting wings. Felicia Andersson sitting. Here Selma is standing on pointe behind Felicia, throwing the lights up and then ducking down to avoid the flash, thus making her invisible in the picture. Selma Strandberg doing a needle. Light painting by Samira. Time went really quickly, we could have kept going, but the school closes at seven so we had to call it a day. Many thanks to Samira, Selma, Naomi and Felicia for a fun dance photoshoot!